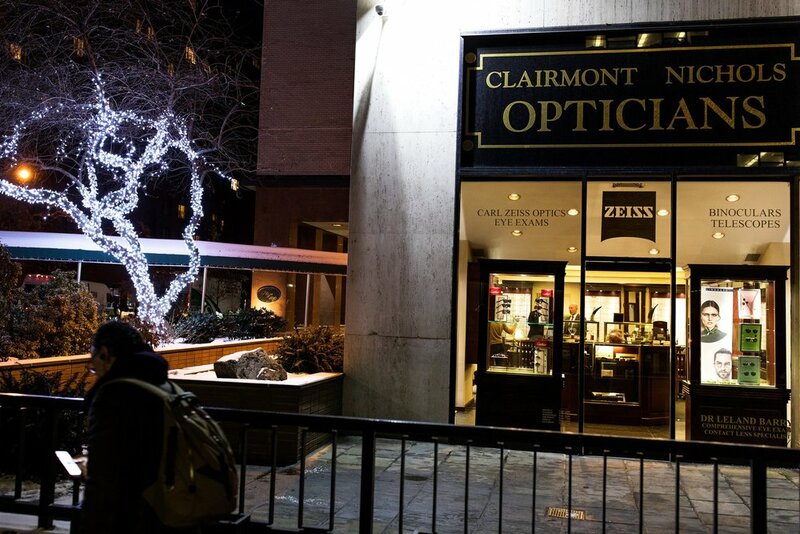 Clairmont-Nichols, New York’s opticians since 1885. We carry only the finest frame brands. We inventory thousands of pairs of finished Carl Zeiss lenses and offer both Varilux and Zeiss products, ground in our in-store laboratory. We carry both daily disposable, and bi-weekly contacts in every parameter and power. Dr. Emily Crane, our in-house Optometrist, is available for comprehensive eye exams at our First Avenue location. Please call 212.758.2346 to schedule an appointment. We employ binocular and telescope specialists to guide you for demonstration and purchase of the finest optics for theatre, nature and astronomy. We also repair any type of optical system in our in-house laboratory. Diagnosed with macular degeneration? Come see our low vision specialist to address your visual function and to supply visual aids to help at both distance and near. We welcome New York’s most difficult prescriptions and our staff of board certified opticians will guarantee your success with all types of lenses and frames.